Which is more accurate to what people actually say, Spanish or English? Today I reviewed my pictures from the weekend when I visited the Mythbusters exhibit at OMSI, reliving the excitement of bringing some concept of science to my juvenile brain. I found myself reviewing the snaps of the exhibit on farting, where the show hosts tested if indeed farts could be ignited (yes!). 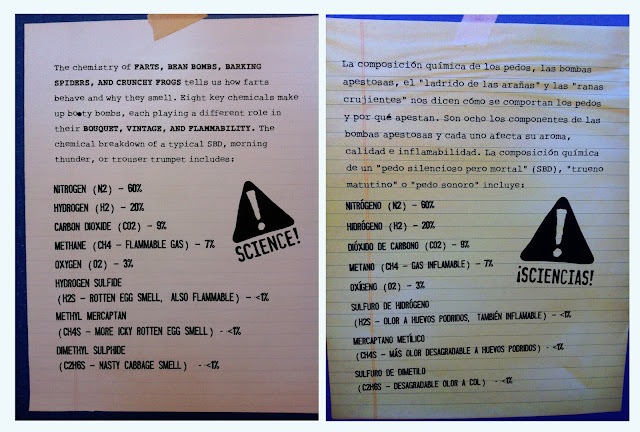 Reviewing the above information, written in a playful style, I found myself concerned that I had fallen into obsolescence by not being completely familiar with the slang: bean bomb; barking spiders; crunchy frogs; booty bombs; SBD; morning thunder; trouser trumpet. Looking at the Spanish it appears that the quotation marks are meant to indicate slang or unusual usage as the signage could be a translation from English. But who uses the terms barking spider or crunchy frog? Did the translation go the other way? From Spanish to English? 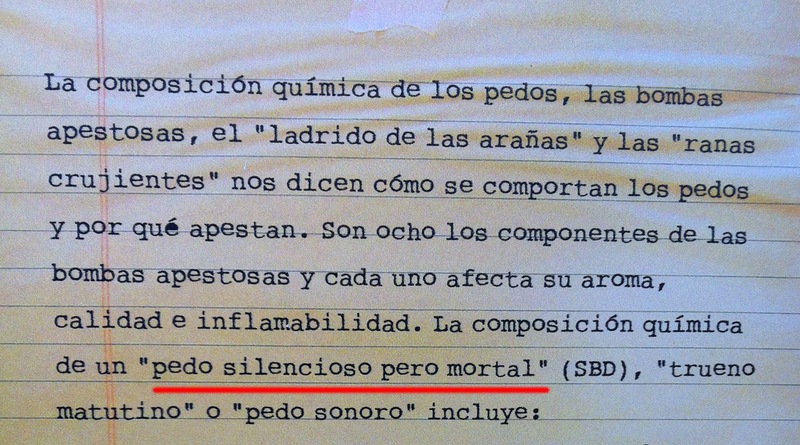 At least in the Spanish SBD is explained more fully (Silent But Deadly). 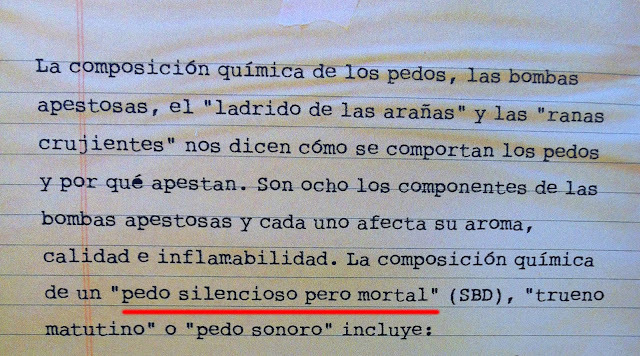 Morning thunder is translated accurately (according to Google Translate ), but pedo sonoro apparently just means "fart sound." I'm not that familiar with Spanish so I suspect there is more to the story here. I suppose this is what is meant when people discuss visiting museums and how such have the potential to inspire learning and broader perspectives.